This is Ontario's first confirmed case of rabies in a raccoon since September 2005. If you have been in contact with a sick raccoon, or if you have seen any animals acting strangely, report it to the City of Hamilton Customer Contact Centre at 905-546-CITY (2489). Don't approach wildlife and keep dog and cat food inside overnight to avoid attracting raccoons. 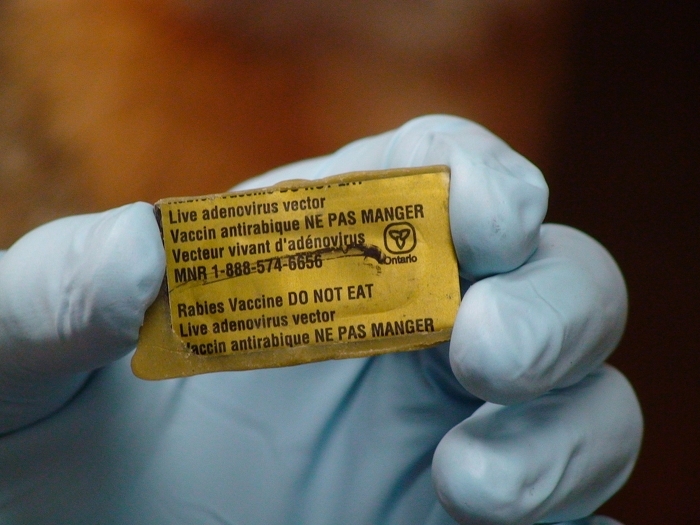 By law in Ontario, pet owners must have their dogs and cats immunized against rabies. The bait drop program is one of the most successful rabies eradication programs in North America. The vaccine helps keep raccoons in the province free of rabies. The flavoured baits immunize most skunks, foxes and raccoons that eat them. Baits are small and khaki green, with a toll-free rabies hotline number stamped on them. If you see baits, please do not disturb them.